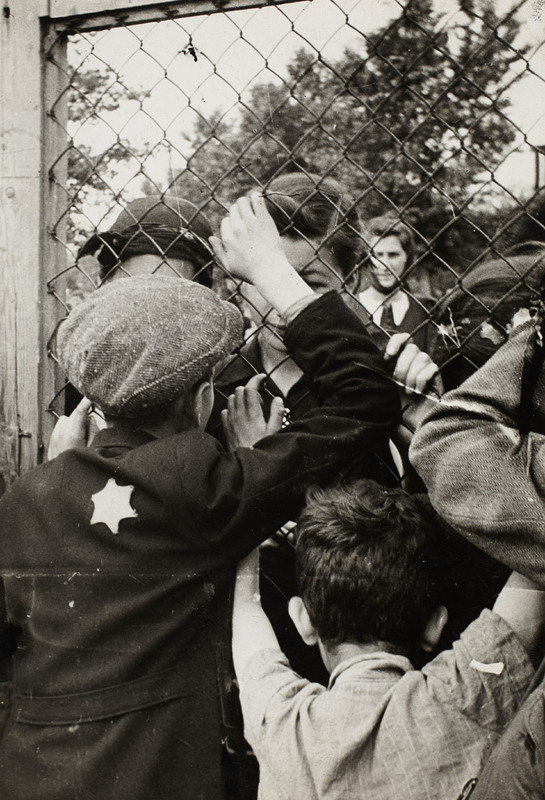 Two exhibitions this fall, Memory Unearthed at the Portland Art Museum and the Last Journey of the Jews of Lodz at the Oregon Jewish Museum and Center for Holocaust Education (OJMCHE), offer a rare glimpse of life inside the Lodz Ghetto through the lens of Polish Jewish photojournalist Henryk Ross. During World War II, the Nazis confined over 200,000 people to the Lodz Ghetto in German-occupied Poland and forced Ross to serve as a bureaucratic photographer, making official photographs for Jewish identification cards and propaganda. At great risk, Ross also documented the brutal realities of life under Nazi rule, culminating in the deportation of tens of thousands to death camps at Chelmno and Auschwitz. With the hope of preserving a historical record, Ross buried more than 6,000 of his negatives in 1944. When he returned for them after Lodz’s liberation, Ross found that more than half of the negatives had survived, and he spent the rest of his life sharing the images. Some 125 of these photographs are included in Memory Unearthed, a visual and emotional meditation on a harrowing moment in history that demonstrates the power of the photograph. The companion exhibition, on view at OJMCHE, explores Ross’s efforts to design and publish The Last Journey of the Jews of Lodz, a multi-language book about life in the ghetto illustrated with his photographs. Join us for a discussion of these important exhibitions and their significance for students today with Julia Dolan, Ph.D., The Minor White Curator of Photography; Judy Margles, Executive Director of OJMCHE; and Amanda Solomon, Manager of Museum and Holocaust Education at OJMCHE. Memory Unearthed and the Portland Art Museum are open until 8 p.m. this evening. The exhibition’s closing date is February 24. 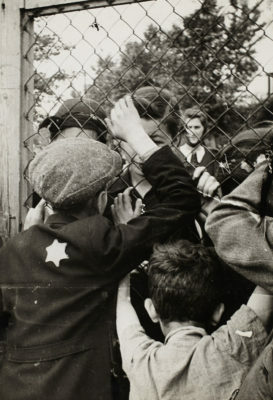 Henryk Ross, Children talking through fence of central prison on Czarnecki Street prior to deportation, 1940-1942. Gelatin silver print, 18.2 x 12.8 cm (7 3/16 x 5 1/16 in.) ART GALLERY OF ONTARIO. Gift from Archive of Modern Conflict, 2007. © 2018 Art Gallery of Ontario.